The market for contemporary art is on a hot streak, as evidenced by back-to-back record smashing auctions this week at Sotheby’s and Christie’s in New York. 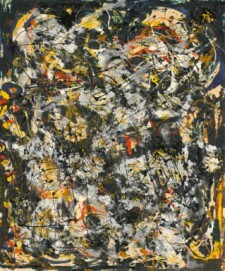 Sotheby’s Contemporary Art Evening Sale on November 13th reached the highest total of any auction category in Sotheby’s long history, raking in over $375 million (beating the firm’s previous record of $362 million set at Sotheby’s Contemporary Art Evening Sale in May 2008). World record auction prices were attained for five artists: Hans Hofmann, Arshile Gorky, Robert Motherwell, Wade Guyton and Jackson Pollock, with Pollock’s “Number 4, 1951,” selling for $40.4 million. A seminal large-scale 1954 painting by Mark Rothko was the top lot in the auction at $75.1 million. Shen Chen, a Chinese born artist based in New York, blends multiple cultural elements, layering concepts of time and space with Zen philosophy, meditation, and repetition.